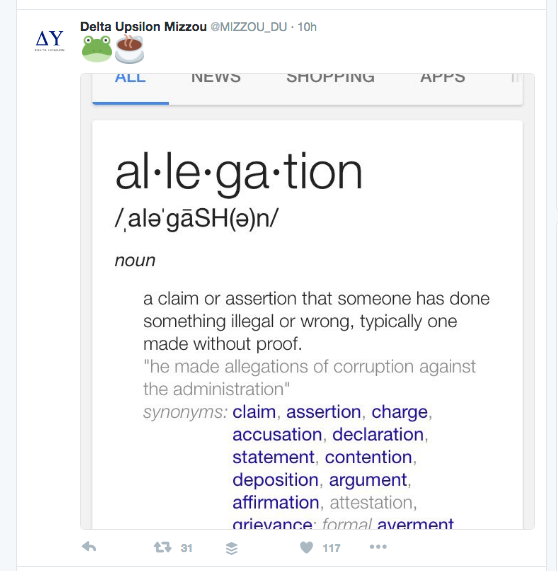 Documents obtained by the Columbia Daily Tribune and published late Thursday evening show a number of complaints against the University of Missouri's Delta Upsilon fraternity, including one that suggests recent pledges may have been given drugs with the express intent of sexual assault. 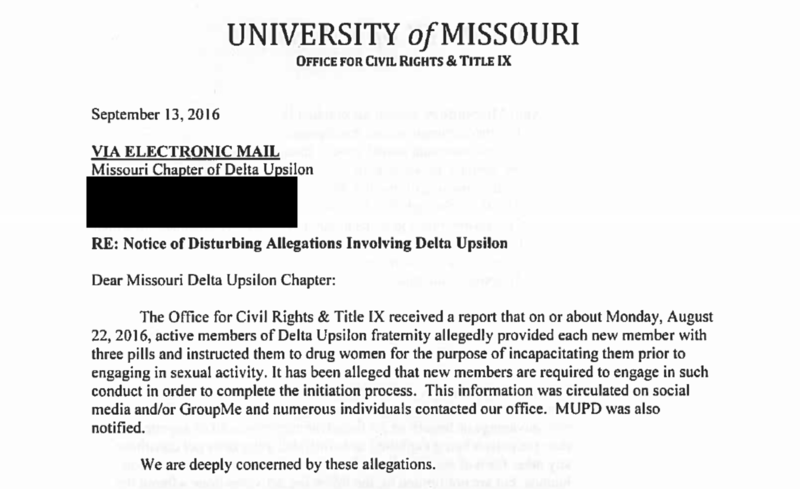 "The Office for Civl Rights and Title IX received a report that on or about Monday, August 22, 2016, active members of Delta Upsilon fraternity allegedly provided each new member with three pills and instructed them to drug women for the purpose of incapacitating them prior to engaging in sexual activity," Ellen Eardley, MU's Title IX administrator, wrote. 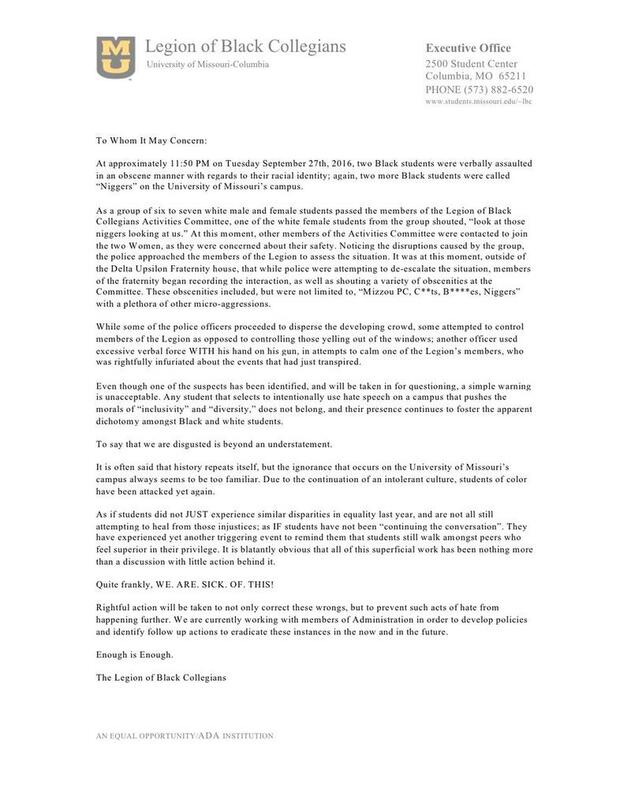 "It has been alleged that new members are required to engage in such conduct in order to complete the initiation process." 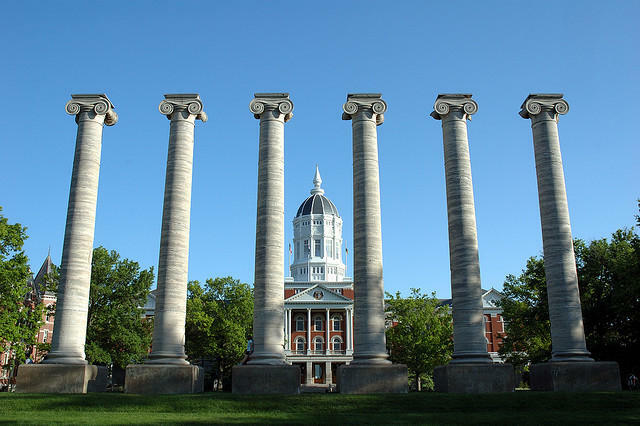 This comes weeks after the University of Missouri suspended the chapter over its alleged role in a racially charged incident this September. This post will be updated as the story continues to develop.